A lot has been written about the imprints the Russians have left on the outside world. For an unbiased (and unfamiliar) western onlooker, most such studies came as reports of little short of a Russian cultural invasion. Ranging from Soviet-time political retrospect to sour accounts of Russian-driven gangsterism in the host countries, those reports in many instances overlooked (or took deliberately out of the equation) the positive impact immigrants from the USSR/Russia have also had on the West. Three American scholars have recently attempted to look at the Russian “invasion” at a different angle. That’s how a study titled “Hammer & Silicon” has come about. Sheila Puffer and Daniel McCarthy, two professors at Northeastern University in Boston, and Daniel Satinsky, a Boston-based business consultant and independent scholar who joined the academic duo at an early stage of work, have put together what appears to be a deeply personal book that tells the untold story of the significant contributions of technical professionals from the former Soviet Union to the U.S. innovation economy, particularly in the sectors of software, social media, biotechnology, and medicine. Drawing upon in-depth interviews, the book channels the voices and stories of more than 150 professionals who emigrated from 11 of the 15 former Soviet republics between the 1970s and 2015, and who currently work in the innovation hubs of Silicon Valley and Boston/Cambridge. Using the social science theories of institutions, imprinting, and identity, the authors analyze the political, social, economic, and educational forces that have characterized Soviet immigration over the past 40 years, showing how the particularities of the Soviet context may have benefited or challenged interviewees’ work and social lives. The resulting mosaic of perspectives provides valuable insight into the impact of immigration on U.S. economic development, specifically in high technology and innovation. Marchmont News approached Daniel Satinsky for details and underlying motives of this effort—barely expected by many in the current context of political enmities between Russia and the West. What was the prime motive that drove you through this deep research: the wish to introduce to U.S. audiences the potential Russia’s sciences have, irrespective of historical timeframes? to praise the specific people you interviewed for the book? or to try and somewhat mitigate the damage caused to Russia’s reputation by the present political tensions? I would have to say that when we began, we simply wanted to recognize and describe what we knew from experience to be true. 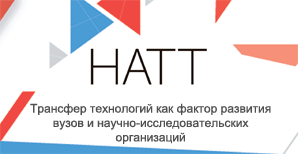 That was the fact that there were a lot of former Soviet and Russian-speaking people in the U.S. tech sector. We wanted to let these people tell their stories through interviews, and we ultimately ended up doing 157 in-depth interviews split between Silicon Valley and Boston/Cambridge. In order to explain them and their experience, we had to go into issues of immigration related to US-Soviet/Russian relations, theories of entrepreneurship and aspects of cultural differences. I would say that our goal was to show the hard-working, creative and technical characteristics of these people as a whole. It was not to necessarily praise particular people, but in fact we met some incredibly talented people as part of the process. In order to explain why and how they were capable of high-level technical expertise, we had to explain the high-quality education that they received in Soviet educational institutions, particularly in mathematics and hard sciences, but our goal was not to evaluate the present state of Russian science. This is beyond our scope. Further our goal was to try to counter-act stereotypes about Russians in general as they appear in U.S. mass media and particularly in entertainment programs as criminals, spies, hackers or prostitutes. This is about Russian people. We do not in any way touch the questions of Russia’s reputation, except to provide information, rather than stereotypes. You wrote about innovative Russians who emigrated as far back as the 1970s. Since then, who wanted to leave the country have done so, and many scientists and inventors that stayed suffered a severe blow in the 1990s, having to sell cucumbers at marketplaces or drive taxis for a scanty living. Do you believe the current generation of science-savvy entrepreneurs that emerged from the debris of post-Soviet science can match or, better, outshine on the international innovation scene their great fellow-countrymen from the late USSR/early Russia and rival the best and brightest from the rest of the emerging economies? I do not have enough real information to answer this question as it is posed. What I do is answer it in terms of what our interview subjects told us. Keep in mind we are talking only about members of technical intelligentsia, not the entire body of immigrants at that time. In our study, we divided up our analysis into three waves of immigrants: 1972-1986; 1987-1999 and 2000-2015. As you know, private business was illegal in Soviet times, so those who came in the first wave had no business experience. Among those who came in the second wave were some with business experience in the wild and disordered conditions of late Perestroika and early post-Soviet times and others of these people also had no business experience. In the third wave, most of them had some business experience and came for either greater business opportunity or advanced business education. It was migration by choice. In trying to shed some light on your question, we need to look at waves one and two. People from those waves generally told us that there was a whole process of adaptation to new conditions that changed them into business-oriented people. For researchers, they found that their colleagues were focused on how to commercialize their work, and this eventually caused them to also consider this kind of start-up mentality. For people who were initially hired for their technical skills, there was a period of time to learn the culture of business and then they began to see themselves differently. In other words, these highly skilled people were transformed in their work life by the environment they entered. This is particularly true among the biotech people we interviewed in Boston/Cambridge and the consumer IT/software application people we interviewed in Silicon Valley. For people who knew they wanted to start or grow businesses, they knew that the conditions for doing so were better in the U.S., even if they had to learn new skills. The success of all of these people was not the result of education or personal characteristics alone but was connected to the emphasis on commercial applications for science in the United States. My understanding of process of innovation in Russia is that its major successes have come through the coordinated activities of many individuals acting through very large organizations, i.e. space, military, atomic energy, etc. In the Soviet period, there was little success in consumer goods and in the initial stages of the information technology revolution. 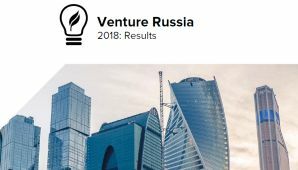 It appears that now in Russia, as it was in the Soviet Union, the environment for technical innovation is not oriented towards start-ups and spin-offs as the primary driver. Small business is certainly more of a driver than in Soviet times, but still large organizations are the source of leading technology innovation. The essence of your question is about how to best tie science to practical applications as innovation and which countries can do so best in the future. I can say that the quality of scientific education is a factor, but not the only factor in answering this question. The real question is which environment for innovation will be the best one for the future. This is an open question. As Russians say, we will live and see.